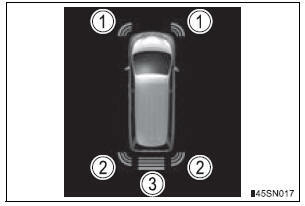 When the sensors detect an obstacle, the following displays inform the driver of the position and distance to the obstacle. 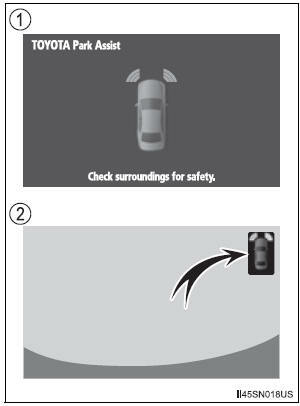 Intuitive parking assist display When the rear view monitor system is not displayed. A graphic is automatically displayed when an obstacle is detected. The screen can be set so that the graphic is not displayed. When the rear view monitor system is displayed. A simplified image is displayed on the right upper corner of the audio system screen when an obstacle is detected.